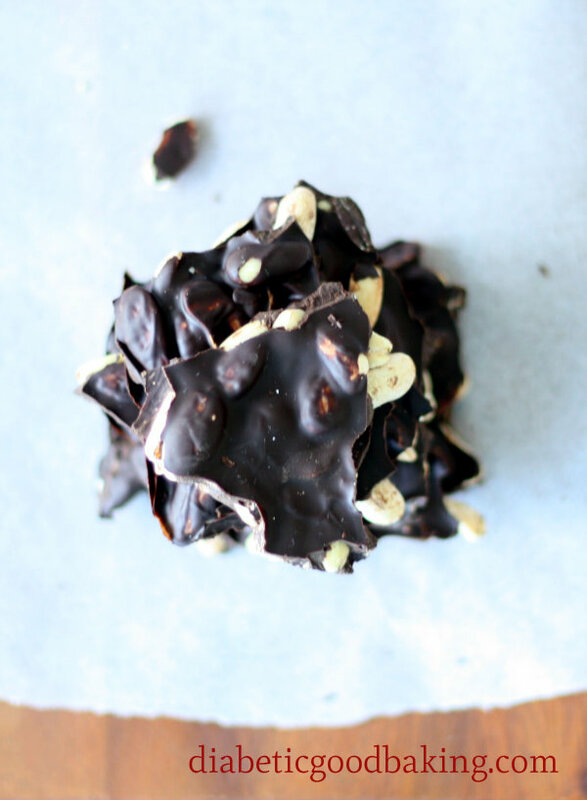 Not really a recipe, but just an idea how to spice up your favourite dark chocolate. I love it plain, but sometimes I look jealously on supermarket shelves, full of milk chocolates in endless variations. Its difficult to find anything that is not higher than 30g carbs, and still a bit more exciting and flavoursome. I decided to make my own then J Nothing difficult, but makes a massive difference. 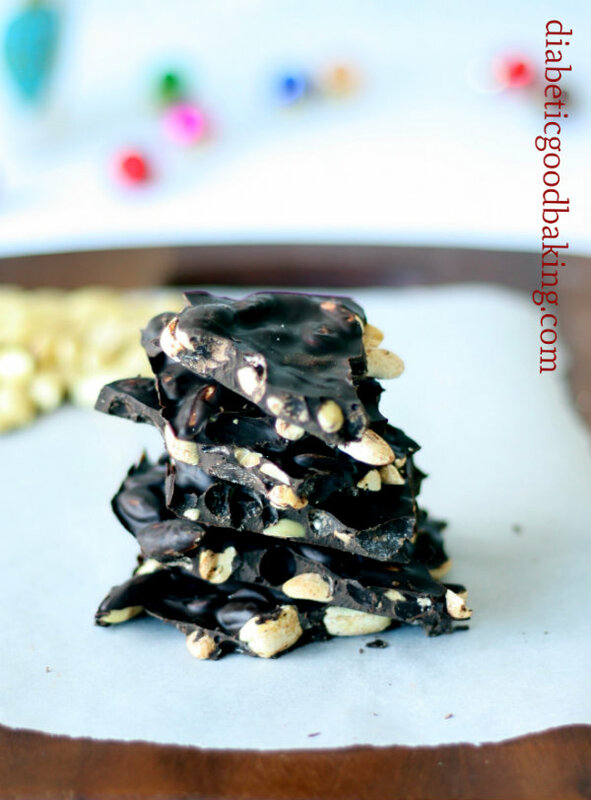 Just melt your favourite dark chocolate and pour it over some almonds or nuts. Maybe pinch of chili or a bit of cinnamon would make an interesting addition too. In a bowl, over simmering water, melt the chocolate. Line a tray with the cling film. 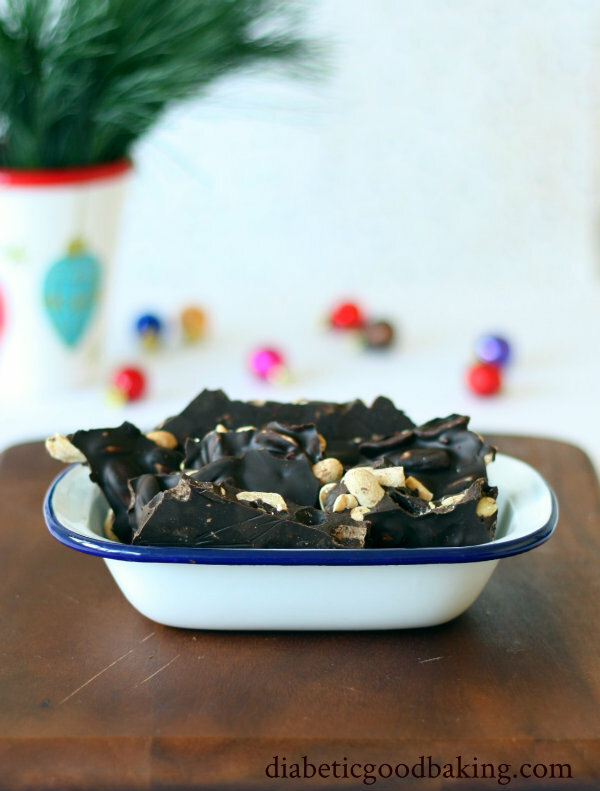 In a medium bowl combine the nuts with the spices and melted chocolate. Spread the mixture evenly on the tray and let it cool down. Place in a fridge for about 30 mins and then carefully turn over and pill the cling film. Break into pieces and store in the air tight container. Im afraid you will have to do your own calculations:) It all depends what chocolate and nuts you use.